​I wish there is a treatment that would help me to prevent going bald. Well, it's true, right? Do you need an effective way to grow your hair back? We review some of the best essential oils for hair growth that may be able to help you. Essential oil formulas are a natural solution for hair loss but finding the right one can be difficult. We have provided the reviews below to help you decide which product is best suited for your needs. So, What About The Best Essential Oils for Thinning Hair? There are a lot of factors that contribute to hair loss and hair thinning. As we age, our hairs become weaker and thinner. Stress also contributes to this phenomenon. Commercial hair loss products can only offer so much to regrow your hair – some of them even make things worse due to their chemical formulation. Products based on the best essential oils for hair growth are your best bet. They do not strip your hair and scalp of the natural nourishing oils from the follicles and they do not remove essential nutrients like petroleum based solutions. For instance, if you are suffering from dandruff along with thinning hair, then you should get a formula that is based on peppermint essentials oils. Not only does it promote hair growth, but it also fights dandruff. There are also essential oils that help promote blood circulation on the scalp such as lavender essential oil. If some parts of your scalp are inflamed then the product you should use must contain this essential oil or its equivalent. 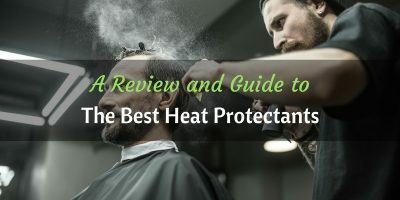 Those suffering from overly oily hair need something that has a drying effect. Lemon essential oils can help you get just that – not recommended for people with dry hair. Rosemary 100% Pure Essential Oil by Plantlife: easy to use, great for dandruff control, and oily scalp. Essential 17 Hair Growth Oil by Alikay Naturals: Uses an essential oil formula, promotes hair growth, and nourishes the scalp. ArtNaturals Moroccan Argan Oil Hair Loss Shampoo & Conditioner Set: This shampoo and conditioner pack combines the benefits of argan oil with those of other herbal extracts, stimulates hair growth, and it is perfect for sensitive scalp and hair. Jamaican Black Castor Oil by Tropic Isle: great option for damaged and dry hair and it can be used as a type of hot oil treatment. 100% Organic Blend by Ancient Greek Remedy Oil: combines the benefits of four essential oils that disinfects, reduces inflammation, and reduces hair fall. 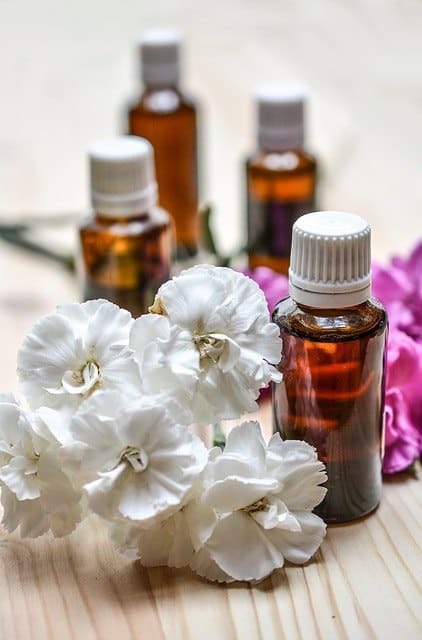 ​In this section, we review some of the best essential oil products and essential oil formulations in the market today. We have included the benefits, features, and if there are any drawbacks we have included them here as well. ​The Plantlife Company has packaged this rosemary oil formula in 10 ml bottles. It is easy easily portable due to its small packaging. You can bring it with you on a weekend getaway and still get the hair treatment you need. You can add just a few drops to your shampoo or conditioner when you bathe or apply a few drops directly to your scalp. Rosemary is one of the best essential oils for hair growth and thickness. Other than encouraging the growth or hair on the scalp, it also helps prevent acne, oily scalp, and it provides dandruff control. It can be used in aromatherapy for mental alertness, clarity of thought, and a memory stimulant. By itself, it won’t be a good option if you’re looking for a scalp conditioner. For best results, combine it with your choice of carrier oil. This is an aromatic oil, which means it will have a very strong smell. If you’re not big on strong smells, then dilute it with others oils. The package is rather small. If you’re looking to buy this oil in a larger container, then you may have to purchase several packages and just transfer the contents to another container. ​Alikay Naturals is a popular brand when it comes to organic and natural beauty products. Their product line consists of skin care, hair care, and wellness solutions. Essential 17 is one of their more popular products. It is packaged in 8-ounce bottles. Simply put, it is a combination of 17 herbs and essential oils. These extracts combine to promote hair growth, which is why we think this is one of the best essential oils for hair growth. The key ingredients include peppermint oil, horsetail powder, tea tree oil, sweet almond oil, jojoba seed oil (carrier oil), olive fruit oil, rosemary leaf extract, and emu oil. Of course, there are other ingredients in the formulation as well. Emu oil nourishes the scalp and helps in the natural growth of hair. Tea tree oil, on the other hand, is an anti-inflammatory oil that has antifungal and antibacterial properties. This custom blend of different oils plus herbal extracts has a strong smell. Some customers might not like the scent. You need to shake the bottle first to make sure that the ingredients have mixed well. ​This Moroccan Argan Oil blend works deep into the causes of hair loss – the body’s overproduction of DHT. DHT or Dihydrotestosterone is a hormone produced by the body that reduces the supply of blood to the hair follicles. This product contains DHT blockers. It is a direct solution for people who are suffering from this type of hormonal imbalance. The other ingredients in this argan oil therapy treatment, such as caffeine, for instance, promote hair growth. This is why it is one of the best essential oils for hair growth and thickness in the market today. 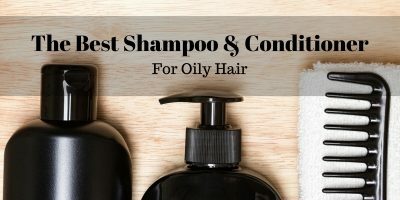 This shampoo and conditioner combo is easy to use. All you need is to take a shower regularly and you will get that much-needed hair and scalp treatment. The ingredients used to make this product are paraben free and they are all natural. Ingredients such as kelp extract, green tea extract, aloe vera, and argan oil provides you with a one of a kind treatment. The hair and scalp treatment you get is soothing and deep cleansing. The conditioner that comes with a package provides a hair restoration treatment. It delivers the healthy benefits from the essences of nettle, sage, rosemary, saw palmetto, and other botanical extracts. It’s not an instant solution. You will feel your hair cleansed deeply but it will take a few more uses before you can see the hair growth and length retention. ​This blend is a castor oil based solution. The oil is processed from wild Jamaican castor seeds. It can be used as a moisturizer. The oil acts as a protective layer that keeps toxins, parasites, and other harmful substances away – which is why it is one of the best essential oils for thinning hair. Other than that, it also works as a hot oil treatment. It heals breakages, repairs dry hair, and cleanses your scalp. The oil is really thick. You have to warm it a little first (place the bottle in warm water) so that the oil expands and then mix it with a carrier oil like coconut oil. The scent of this oil may seem odd and some people may not like it. ​This product is an all-natural organic moisturizer. All the oils are cold pressed, which gives them a rather neutral pH. The blend of four essential oils provides your skin and hair a much-needed boost. You get the benefits from grape seed oil, almond oil, lavender oil, and olive oil, which makes it one of the best essential oils for hair growth and thickness. ​It can be used for other purposes such as nail care and cuticle remover, and as a treatment for eczema and psoriasis. The product comes in a fine mist spray bottle. Naturally hydrates skin and heals UV sun damage. Strengthens and rejuvenates brittle, weak, and damaged hair. Great solution for frizzy hair. This oil blend is also pretty thick – so the spray may not always work. You will have to warm the oil a bit by placing the bottle in warm water to make it a little less thick. It leaves your hair with a slightly greasy look and after feel. ​Essential oils breathe new life into damaged and unruly hair. Remember that commercial shampoos today are pretty strong that they strip your hair’s natural oils and nutrients. Essential oils restore what was lost and it even infuses your hair with a natural fragrance. Essential oils have also been found to be an effective alternative treatment for male baldness; this is according to a study published by the University of Maryland Medical Center. Almond oil: moisturizes the scalp. Chamomile oil: soothes scalp and makes hair soft and shiny. Geranium oil: strengthens hair to prevent breakage. Coconut oil: makes hair shinier and softer. Lavender oil: great for dandruff control and works best as a conditioner. Jojoba oil: nourishes and moisturizes the hair. Rosemary oil: stimulates hair roots. Moroccan argan oil: nourishes hair with antioxidants. Notice that these are the same essential oils that are included in our list of best essential oils for hair growth and thickness above. Note: some people are allergic to certain oils. You should try small amounts of these oils first to see if you are allergic to them. To use essential oils for hair growth, you may add a few drops to the shampoo you’re using every day. You can also use them separately by mixing them with a couple of ounces of carrier oils such as coconut oil, jojoba oil, or olive oil – just a few drops of your choice of essential oils will do. Nice read. This is actually really a solid advice. Thanks!